Bernard Burgaud is one of the more understated producers of the Côte-Rôtie appellation, making just one wine from 100% Syrah. Bernard Burgaud is one of the more understated producers of the Côte-Rôtie appellation, making just one wine from 100% Syrah. 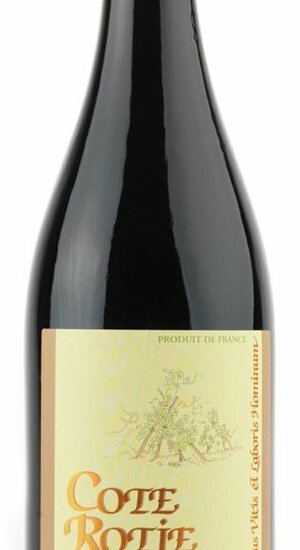 From his small domaine, perched atop a steep hill overlooking Ampuis, he produces 1,000 cases a year from 22 acres of vines planted in several lieux-dits in the appellation, the majority from the Les Moutonnes and Côte Blonde vineyards. Bernard believes the blending of his terroirs results in a more complete and balanced wine: His vineyards in the Côte Brune provide power and muscularity, while those in the Côte Blonde bring finesse and elegance. Bernard eschews passing trends and stays true to traditional methods, aging his wines in 600-liter barrels, 20% of which are new and the rest up to five years old. The resulting cuveés are best personified by Bernard himself, a humble, charming, traditional man who waxes poetic on the beauty of his land and his wine. His classic, well-balanced wines taste of black fruit and olives, with earthy and rustic flavors. They are to be aged, developing into perfectly elegant wines.